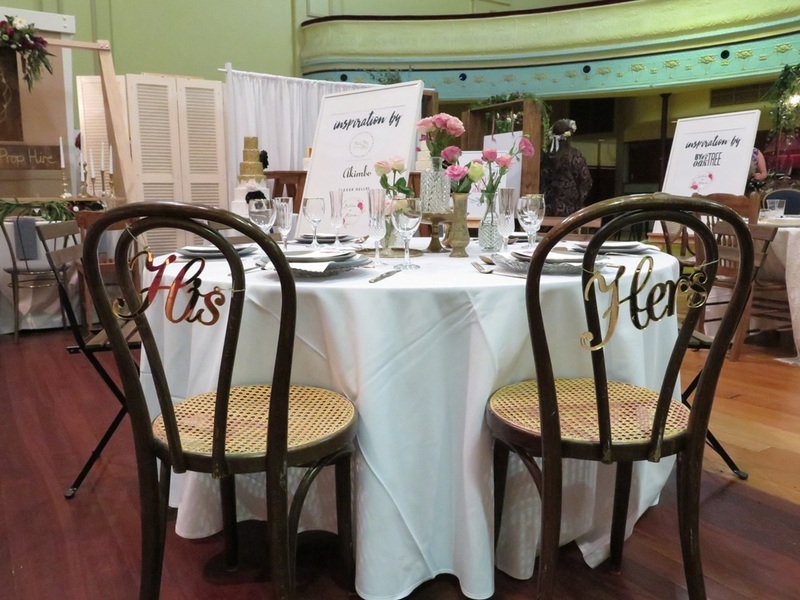 It was so wonderful to exhibit at the Love Cherish Adore Autumn Bridal Fair in the stunning Norwood Town Hall. 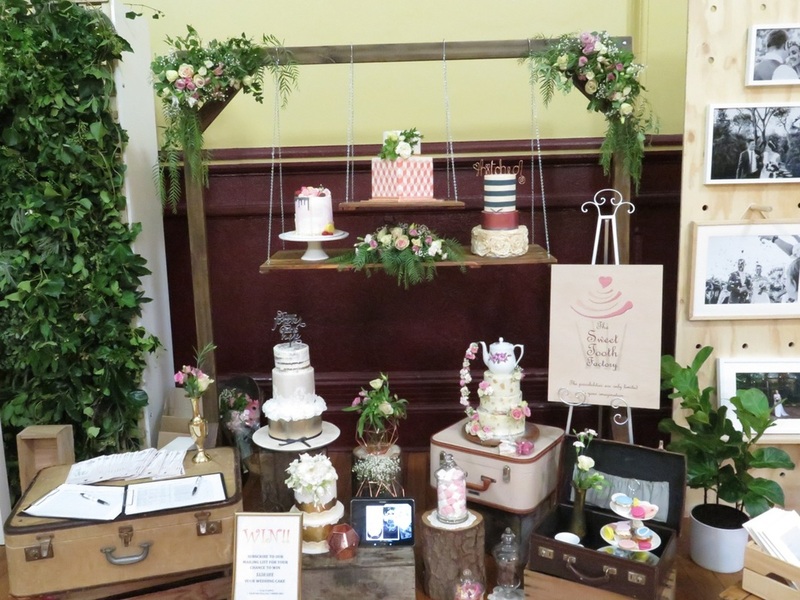 We enjoyed chatting to many brides-to-be about their wedding plans, and as always got to meet some incredible vendors too! 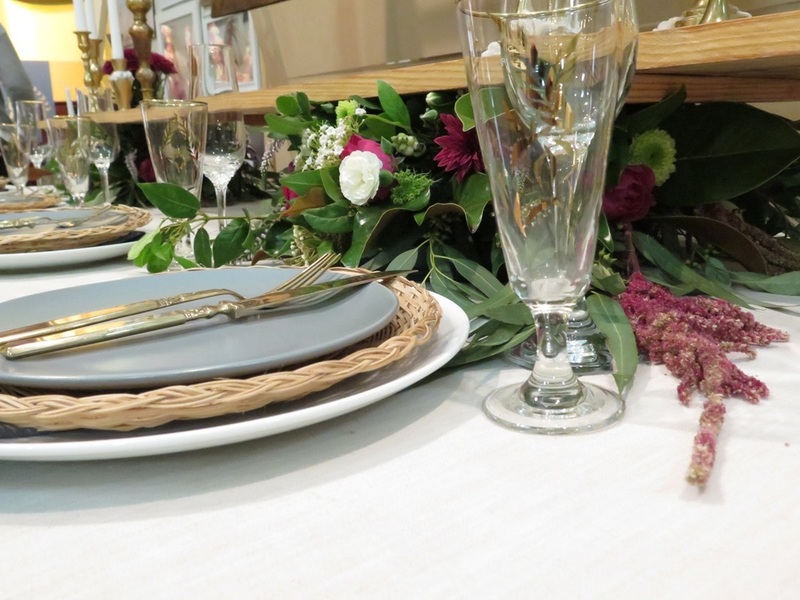 We showcased another way to style our timber table runners, with the floral feature as the base of the runner! 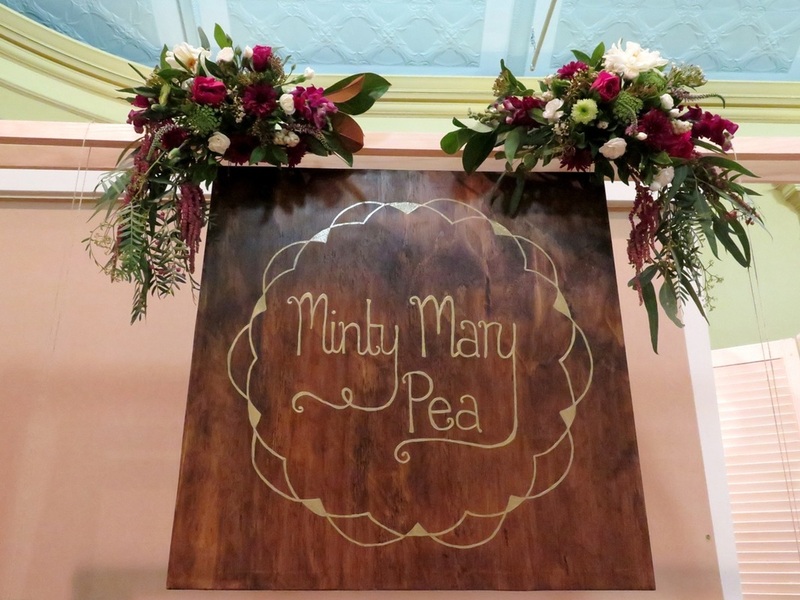 This concept is perfect for banquet-style reception dining, making it pretty and practical! 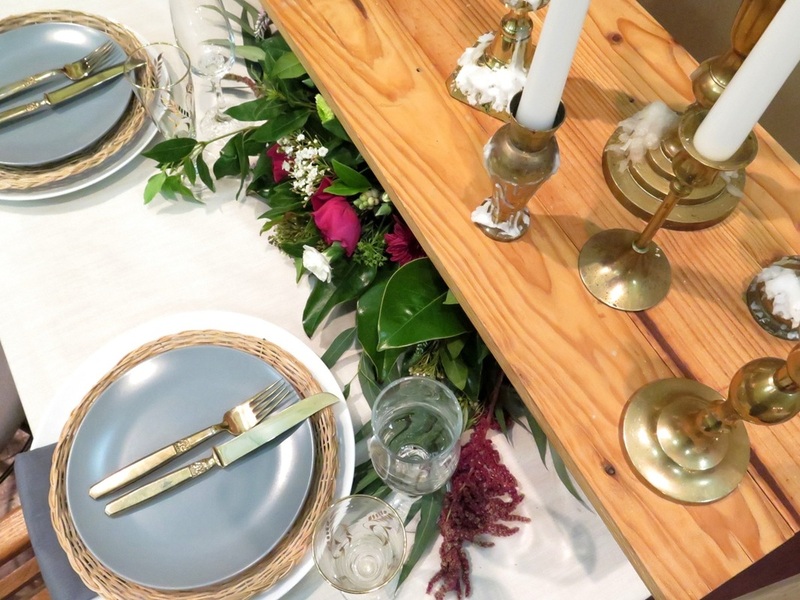 Our set-up also featured our hand-painted signage, a taste of our brass candlestick collection, wicker plate holders, and vintage glassware. 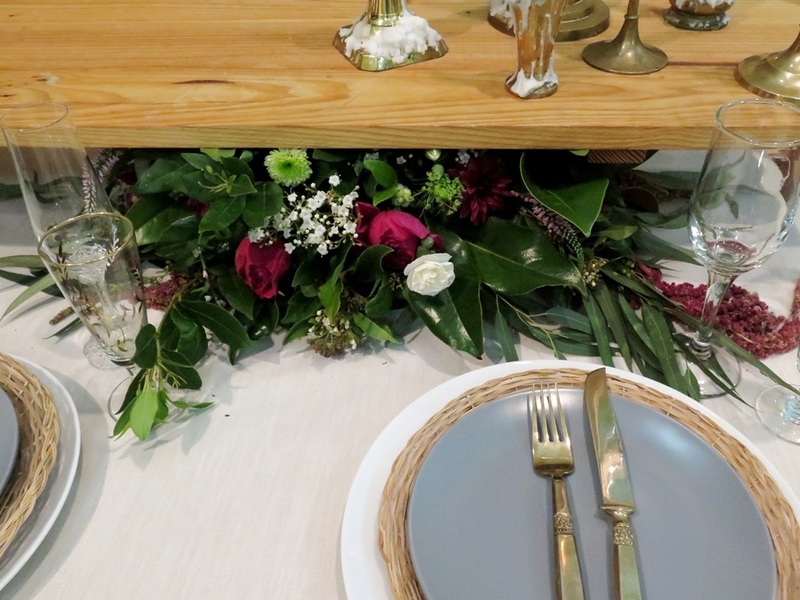 We adored putting these florals together too! 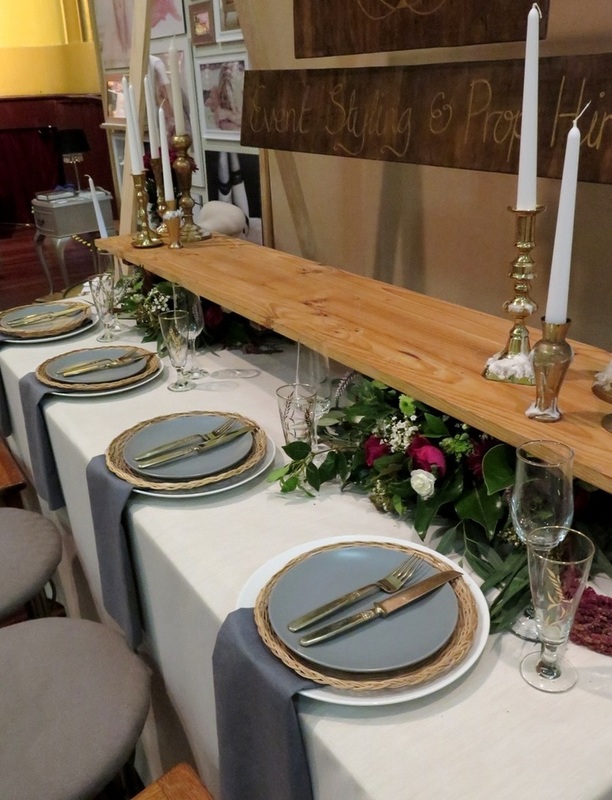 ​We also got to collaborate with the talents of Akimbo and Bella in Bloom to create one of the styled reception tables for some inspiration. 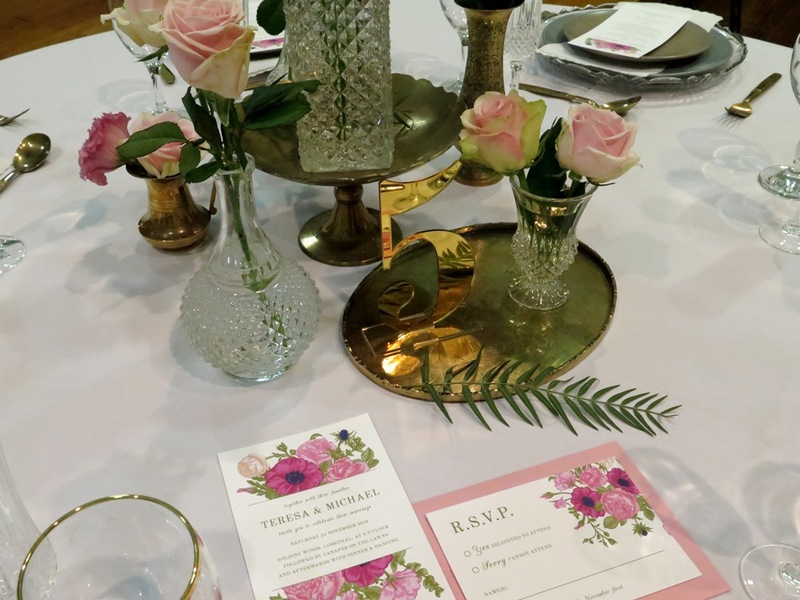 We created a romantic 'garden'-style setting, with a soft pink roses, a mix of vintage decanters and brassware, and stunning floral stationery. 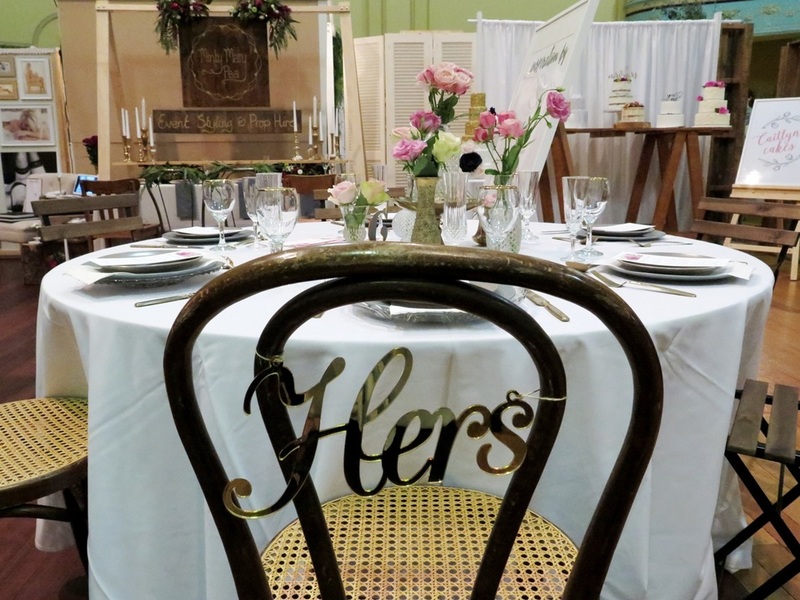 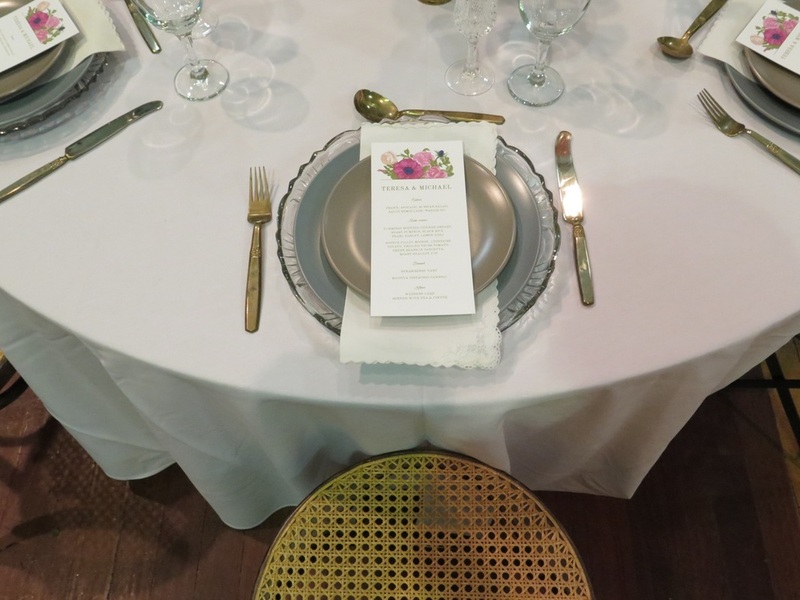 The table also showcased Akimbo's new acrylic laser cut gold table numbers and super sweet "His" and "Hers" chair hangs. 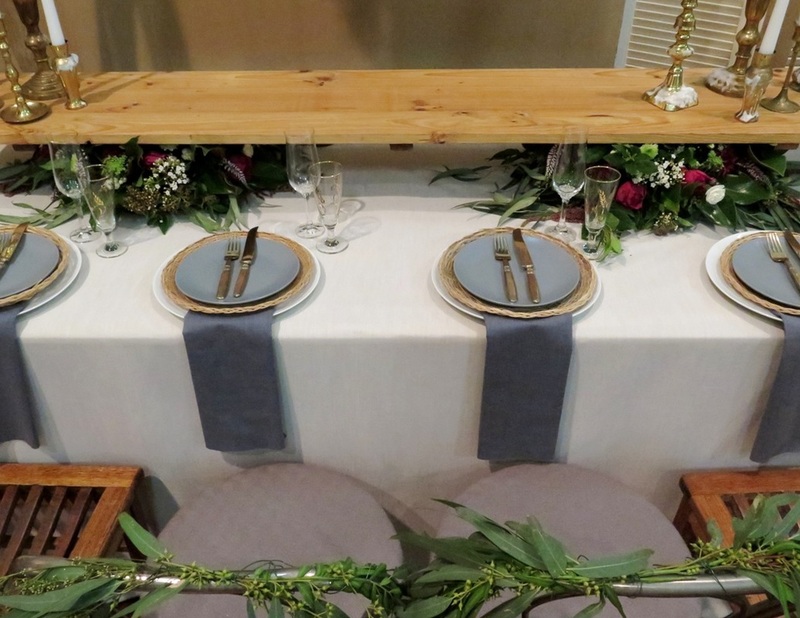 Our timber bistro chairs added that 'garden'-style seating, with our pair of bentwoods for the bride and groom. 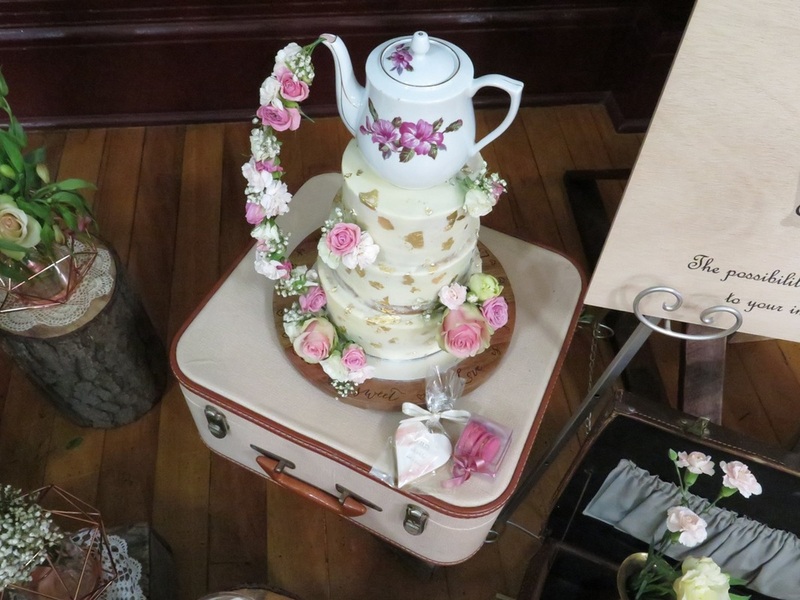 Some of our props were also used by local cake creator, Natasha from The Sweet Tooth Factory. 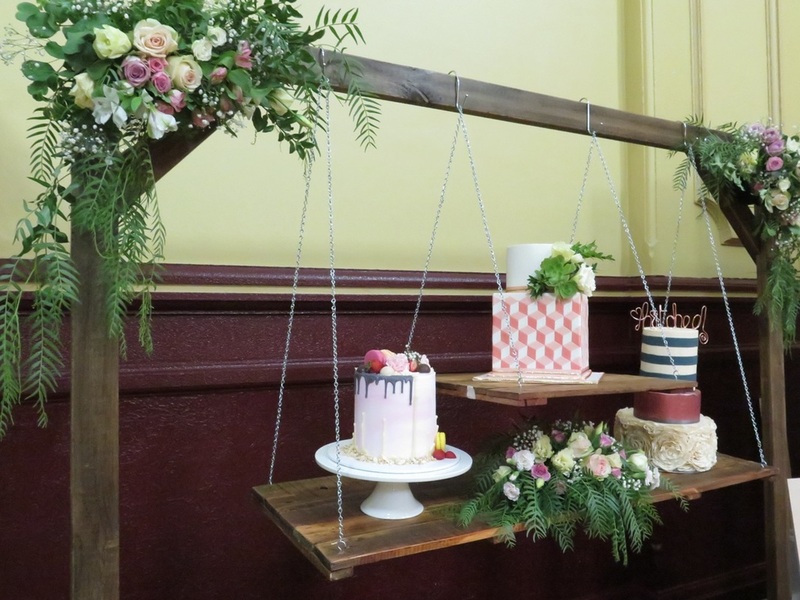 We just adore how she displayed her gorgeous cakes suspended from our timber arch! 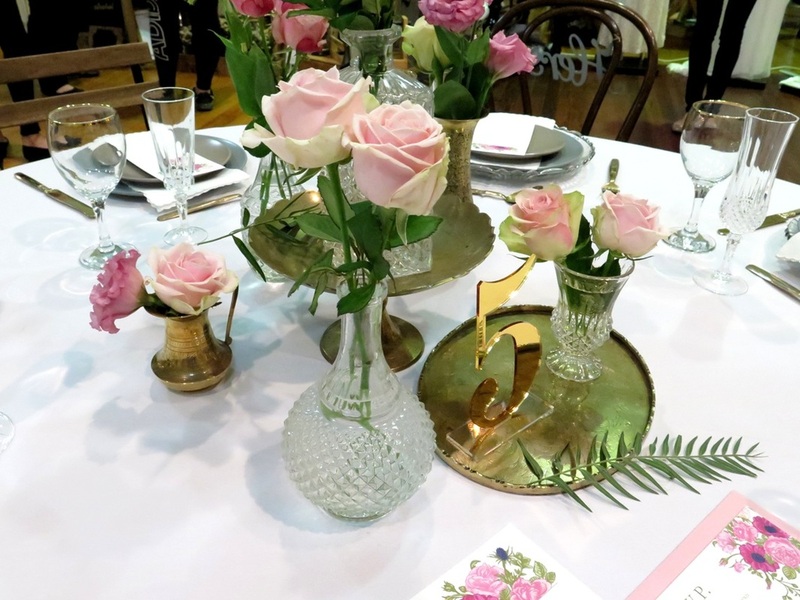 Beautifully adorned with florals by Bella in Bloom of course! 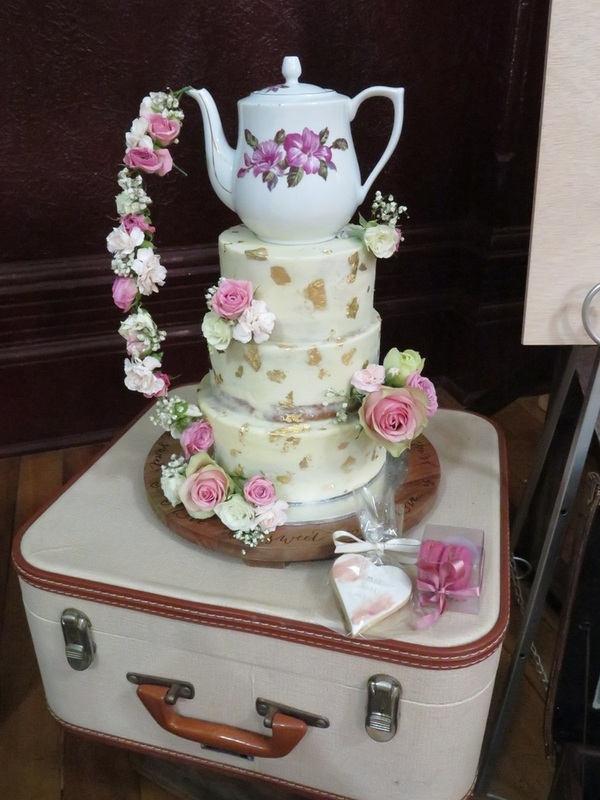 And how incredibly gorgeous is the teapot cake!! 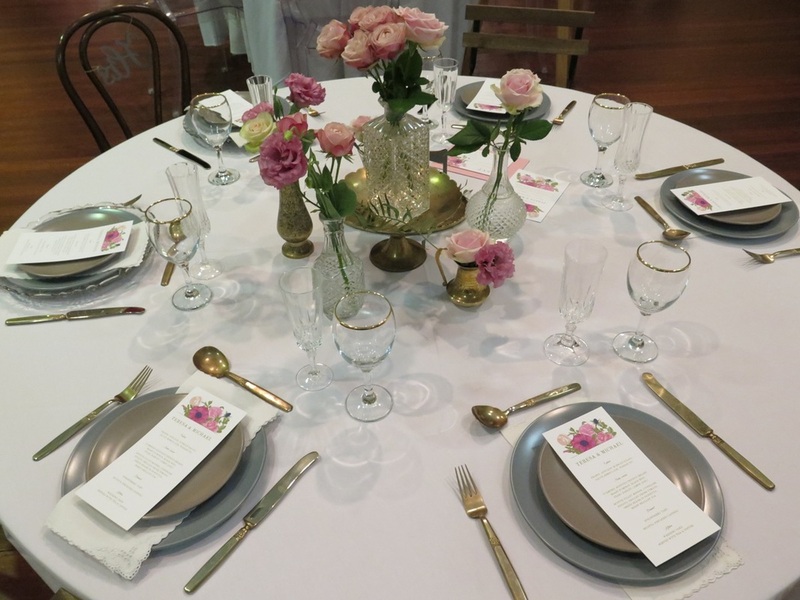 I'd love to see this at a high tea party. 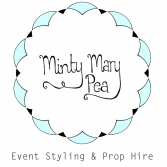 If you visited our stall to say hello and registered, you'll receive 10% off any styling and prop hire bookings made before 30th April, 2016! 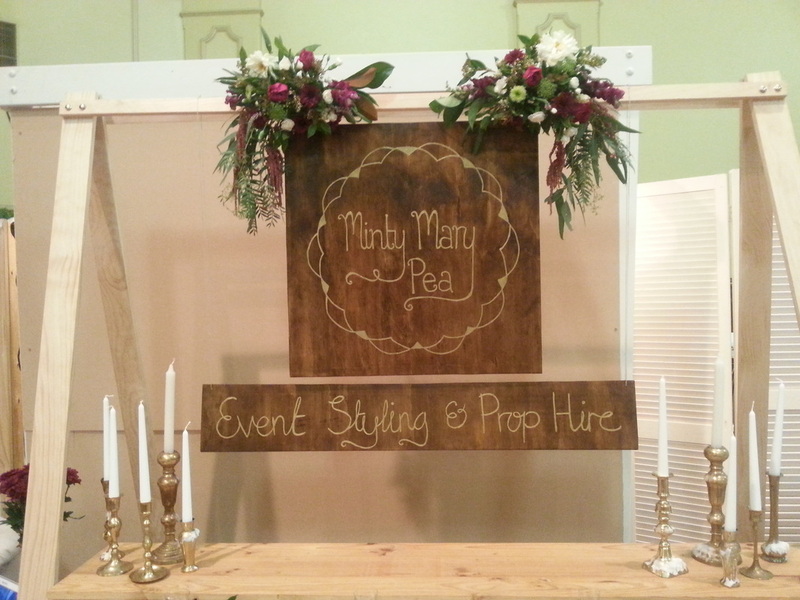 Plus, all styling bookings made within this time will go into the draw to win a custom signage set made just for you! 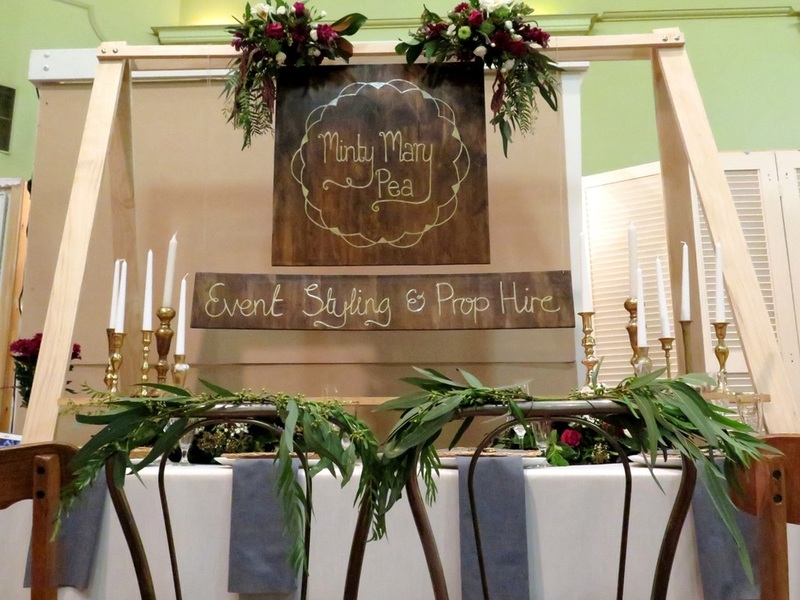 I look forward to hearing how I can create something truly special for your big day!